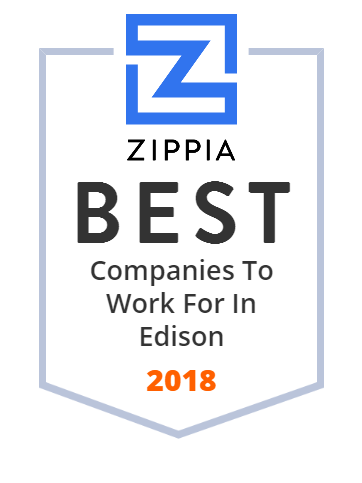 We hand-curated a list of the best companies to work for headquartered in and around Edison, NJ using data on salaries, company financial health, and employee diversity. Strategically located in Edison, New Jersey, Open Road BMW Edison has been serving the residents of Plainfield NJ, New Brunswick & Staten Island areas for many years now. Aside from a great inventory of new and used BMW cars, the company also has a service department that provides all types of vehicle maintenance services. It boasts a team of experienced salespeople and certified repair technicians that are always ready to assist clients with all their car-related needs. C&C Lift Truck has been providing award-winning forklift services at fair prices for more than 40 years. This leading full-service and material handling company offers serves businesses throughout the Long Island, New Jersey, and NYC's five boroughs. The company provides a wide range of products and services designed to meet each business's needs and budgetary concerns. For over 35 years, Tekmark has been offering technology and telecom solutions for customers worldwide. It has a team of talented individuals with extensive experience in developing and integrating information systems, network intrusion protection, technology, and business processes improvement. Tekmark serves a broad range of Fortune 100 and 500 companies in financial services, telecommunications, insurance, healthcare, and pharmaceutical industries. Dr Leonard's Healthcare Corp has been the leading direct mail marketer of affordable health and personal care products since 1980. It offers products such as arthritis and pain relievers, dietary supplements, as well as support and mobility aids. Today, the company already has more than 650 employees dedicated to providing customers with the best shopping experience and high-quality products at affordable prices. Royal Albert's Palace, exquisite Indian banquet halls was designed by Albert Jasani and Shobhna Patel with traditional Indian designs and custom design carpets and it was inaugurated by Chief Minister of Gujarat Kashubhai patel in year 2000. This facility includes four banquet halls and large private parking lot.\. At Edison Heating & Cooling, they are able to provide you with seasoned technicians that have been expertly trained to inspect and repair any HVAC system in Edison, NJ. Their service vehicles are specially equipped with the necessary tools and parts to make HVAC installations and HVAC repairs quicker and more effective. Big Red Pin was formed to provide all technological needs for any event in any venue. Because the demand for technological services is high, they currently provide our services in convention centers, sports arenas, and public meeting spaces. They have a firm understanding of technology as it relates to events. Bentley Laboratories is an industry leader in the formulation and outsource manufacturing of products for the beauty and pharmaceutical industries. It was established in 1982 and has grown into a profitable company since then. The company produces a variety of product forms such as skin care, hair care, bath and body, hot fills, powders, fragrances, certified organics, and so much more. Bentley also employs certified chemists and salespeople who are well versed in the latest FDA regulations, testing, packing, and packaging requirements. Welcome to the central hub for our assisted living facilities. Our home health care services offer a level of care and excellence not seen anywhere else. General Plumbing Supply provides NJ residents with everything they need for remodeling kitchens, bathrooms, and more. Visit one of our many locations or order online!